Are you trying to explain something to someone about the ET & UFO phenomenon and they don't get it? Instead of trying to convey ETI using EAI think like HET do and convey the message using ETI. Using the term 800 as a way to ask someone if they can "SEE ET" in the concept you are trying to convey forces them to shift gears in their mind from EAI to ETI. This gives you the ability to get them to look at the same concept from a new and Xbeing associated perspective. 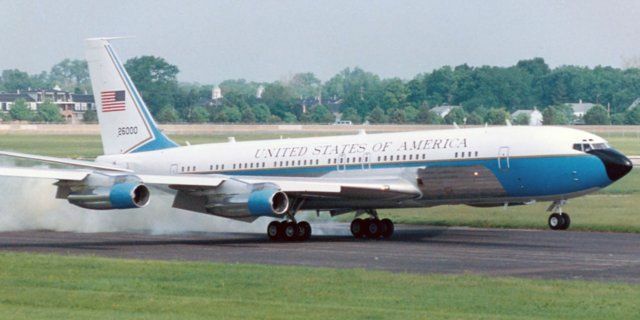 An (article) was just published describing the first jet built for the President. When you are aware Hetlau you need to be on the lookout for the hidden clues they are leaving throughout history. The first jet built for the President would be a place you would want to look for these clues. Then term SAM 26000 was assigned for the aircraft. Obviously, it has what appears to be normal EA meaning assigned to it in the form of Special Air Missions and the tail code 26000. Could Hetlau be involved in placing this seemingly innocuous combination as the name of the aircraft when the President is not on board?